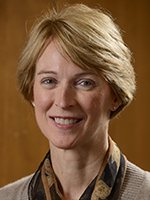 Helen Riess, MD, an associate clinical professor of psychiatry at Harvard Medical School, knows most of her fellow physicians chose medicine as a profession because they care about people. They endured an expensive and difficult education to enter a challenging career field — often frustrating, sometimes heartbreaking — because they want to help others. Some experts see empathy scores as a barometer of organizational and physician well-being. Click here to read more. Every physician leader knows what she’s talking about. The computer-over-patients example is the go-to image for the so-called “empathy movement” in U.S. medicine, especially when an apparent lack of physician empathy shows up on patient satisfaction surveys. But patient satisfaction scores might be the least important reason to focus on the issue. Loss of empathy cuts away at the very reason physicians chose their profession, and the ramifications are far-reaching. Physicians who have low levels of empathy might be difficult colleagues, making a tough working environment even worse. They are more likely to suffer burnout, which threatens individual careers and the rest of the physician workforce. And perhaps worst of all, their patient outcomes lag compared to their more empathetic peers. Riess, who undertook a fellowship on the neuroscience of empathy, is one of many physicians who see physician empathy as both a symptom and a cause of other problems in the medical field — and a challenge that must be addressed. They are researching the issue from many angles, assessing empathy levels in medical students and practicing clinicians, developing interventions and training clinicians to regain the empathy that used to be second nature. For an idea of how powerful empathy is as a leadership tool, consider this: The word is used 20 times in a 188-page manual for leaders in the U.S. Army. By understanding what others are thinking, feeling or perceiving, leaders who demonstrate an empathetic nature can know if they’re reaching people when they communicate. In an essay for Forbes, psychiatrist Prudy Gourguechon suggests that leaders who do not “suffer fools gladly” should take time to try to figure out what motivates his or her employees. “What’s behind a colleague’s wish to propose what immediately looks like a dumb idea?” she asks. A 90-second conversation can prevent an employee from feeling humiliated and disaffected in the long term. She developed an empathy training intervention that was tested in a randomized, controlled trial at Boston’s Massachusetts General Hospital in six specialties. The study demonstrated the trained physicians received significantly higher patient satisfaction scores than those who were not trained. “This was a groundbreaking discovery, because many believed that empathy could not be taught,” Reiss says. The demand for this training led to her founding Empathetics, an organization that delivers online and workshop empathy training; Riess is the organization’s chief scientist. The term empathy can be defined in many ways, but this definition has gained traction in the fields of medical education and patient care: Empathy is a predominantly cognitive — as opposed to affective or emotional — attribute that involves an understanding — as opposed to feeling — of patients’ concerns, combined with a capacity to communicate this understanding and an intention to help by preventing or alleviating pain and suffering. That definition was developed by a research team with Sidney Kimmel Medical College at Thomas Jefferson University in Philadelphia, Pennsylvania. It was advanced in “The Devil Is in the Third Year: A Longitudinal Study of Erosion of Empathy in Medical School,” a paper published by Academic Medicine in 2009. It is perhaps most easily grasped by contrasting it to sympathy. Using the terms empathy and sympathy synonymously is a mistake, says Mohammadreza Hojat, PhD, a research professor of psychiatry and human behavior at Jefferson, and one of the authors of that article. Hojat, director of the Jefferson Longitudinal Study at the Center for Research in Medical Education and Health Care, and his colleagues used that definition to develop the Jefferson Scale of Empathy, a 20-item instrument designed to measure empathy in students and practitioners in the health professions. The Jefferson Scale has been translated into 56 languages, used in more than 80 countries, and referenced in at least 200 publications, Hojat says. Studies using the scale have shown that medical students with high empathy scores were rated higher by medical school faculty on clinical competence than their low-empathy peers. Also, empathy scores predict specialty interest; medical students who choose a people-oriented specialty such as family medicine and internal medicine score higher on empathy than those who choose a procedure-oriented specialty like surgery and hospital-based specialties (e.g., anesthesiology, pathology and radiology), he says. “But the most important findings that we have is that we found that clinical outcomes are influenced by physician empathy,” Hojat says. In one study, patients with diabetes treated by physicians with high empathy scores were significantly more likely to have good control of hemoglobin A1c than those treated by low-empathy physicians; similarly, the proportion of patients with good cholesterol control was significantly higher for physicians with high empathy scores, Hojat and his colleagues reported in “Physicians’ Empathy and Clinical Outcomes for Diabetic Patients,” a 2011 article for Academic Medicine. Although the study did not attempt to explain the causal factors, Hojat believes empathetic physicians engender more trust with their patients, prompting patients to provide more information and be more willing to follow the physician’s advice. “This trusting relation leads to more accurate diagnoses, to higher level of compliance, and, certainly, this can lead to a more optimal patient outcome,” he says. Hojat’s research using the Jefferson Scale includes a study that documents a disturbing pattern among students preparing to be physicians. Empathy scores drop at the end of the third year of training — and do not rebound before graduation. Listen to your patients. This helps you get a full understanding of what’s going on with them. Your patients know their bodies and what they’re experiencing. Treat your patients the way you would want your family to be treated. Tailor your care to how you’d want your elderly mother to be treated. Walk a mile in your patients’ shoes. Imagine how you would feel if in the patient’s predicament. We often forget how it feels to be hopeless or confused. Place yourself at the patient’s level. Standing above the patient and having him or her look up at you might paint a lofty picture, but it could make the patient uncomfortable. Learn the culture of your patient populations. Knowing this increases your cultural awareness and sensitivity toward others. Calabrese, who has been studying empathy among health care students and professionals for more than 15 years, is working with Hojat and others on a nationwide study of osteopathic medical students. By the time the study is completed, it will include Jefferson Scale scores from more than 20,000 students at 41 colleges at multiple points during their training. “It's going to be one of the largest studies ever done on empathy, and I think it should contribute not just to osteopathic medicine, but to all medicine,” he says. TeamHealth, one of the nation’s largest medical staffing companies, employs more than 10,000 physicians — specialists in emergency medicine, anesthesiology, hospital medicine, urgent care and post-acute care — and 6,000 advanced practice clinicians. They work in small groups all over the country; each group — say, a team of anesthesiologists — is led by a facility medical director. “We view these leaders as the linchpin of our success,” Massingale says. Over the years, Massingale and his colleagues have learned that the best medical directors share certain traits that might not be revealed through transcripts and vitae. He says all the physicians TeamHealth hires are smart enough to succeed and all are good clinicians, but the ones who make the best physician leaders display emotional intelligence, consensus-building skills and empathy. 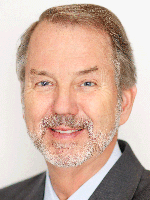 Empathy for patients is easy to find among TeamHealth physicians, Massingale says. “But we are also looking for empathy as it relates to your colleagues and subordinates, the people that you work with and lead,” he adds. What role does empathy play in your career as a leader? How does the ability to empathize with your team members make a difference in the workplace? How does empathy make you a better leader — and a better physician? Share your experiences with your colleagues. 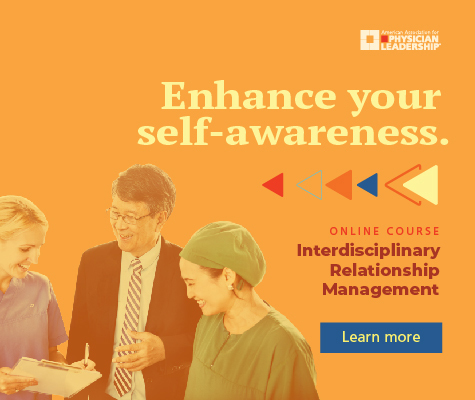 The organization uses a personality and behavior assessment tool to evaluate empathy and other soft skills in the physicians being considered for leadership positions. But observation is another good way to assess an individual’s empathy. “We start to watch for the folks who are selfless about the schedule and to watch for people who demonstrate greater understanding of a patient's plight without as much judgment,” Massingale says. Once you start looking for it, physician empathy reveals itself. Lola Butcher is a freelance health care journalist based in Missouri.